Maybe you like using MPEG Streamclip to convert videos on Mac. It is not only free but is also one of the preferred software for video editing and conversion. 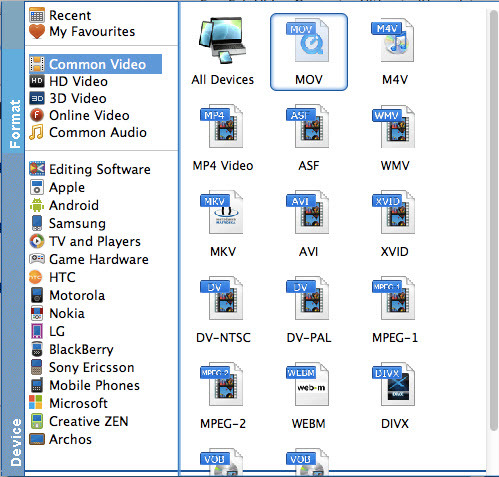 You can basically edit and convert your video files to the output format of MOV, DV, MP4, AVI, DIVX and 3GP. As the software applies the QuickTime technology, it's by default that you can upload and play any QuickTime supported file formats as well. However, that might not always be the case. Your MPEG Streamclip might not work and prompt up messages such as "won't read or open files" or "unrecognized file format". And lots of MPEG Streamclip users have recently discovered it couldn't get the files converted, and the malfunction occurred after they all upgraded to the system Mac OS X 10.14 macOS Mojave, Yosemite or Mavericks. For these cases, a great MPEG Streamclip alternative for Mac (Mac OS X 10.14 compatible) is the best choice for you. As we know, MPEG Streamclip is a well-known video converter, player, editor. 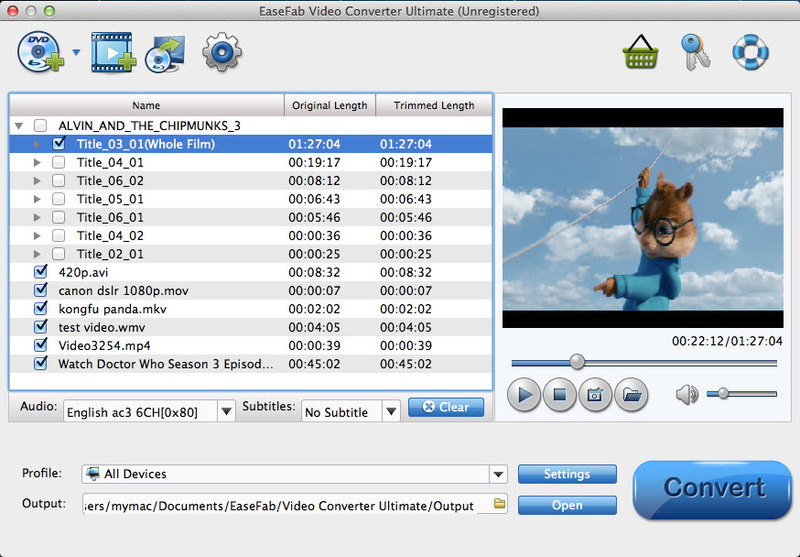 By contrast, EaseFab Video Converter Ultimate for Mac is the most outstanding alternative to MPEG Streamclip. The video app is an all-in-one video/audio converter, player, editor and fully compatible with all Mac OS X systems including Yosemite, Mavericks, Mountain Lion, Lion, etc. It is more easy-to-use and offers some unbeatable features like batch conversion and customized output settings for iPod, iPhone, iPad, Android, PSP, iMovie, FCP and more. Plus, it supports more video formats than MPEG Streamclip like WMV, AVI, AVCHD MTS, MKV, etc. That's the reason why it can be seen as MPEG Streamclip alternative and is even much better than MPEG Streamclip. Below, I'll show you how to use this great MPEG Streamclip alternative to convert videos on Mac (macOS Mojave included) in high quality. Drag the video files you want to convert to the video files list (Mac Video Converter supports batch conversion, so you can import multiple files at a time). You can also click the "Add Video" button to browse your Mac hard drive and add the video files you want to convert to the program. Note that this app also allows you to convert, rip and copy DVDs and Blu-rays. Click Profile (located below where your files are displayed) and select the format you want from the drop-down list. Just below Profile is Output, here you can browse your computer for a better destination folder to save your converted movies. As you see, all regular video and audio formats like MP4, MOV, MKV, WMV, AVI, FLV, MP3, WMA, WAV, M4A, etc. are provided. If you want to convert your movies for play on portable devices, including iPhone, iPad, iPod, HTC, Samsung Galaxy Tab S, Galaxy S5, S4, Nokia, SSony, PSP, Xbox 360 and more, you can simply browse to find the icon of your device and select it as the output format to get videos with optimized settings. All Idevices output files can be synced to iTunes automatically. Click the "Convert" button at the bottom-right corner of this intelligent MPEG Streamclip alternative for Mac app to start video conversion. In a minute, there will be a pop-up dialog box that shows you all tasks have been finished. And there is an "Open" option in the dialog box. Just click it to locate the output files for uses. That's all. Note: MPEG Streamclip doesn't work on Windows 8.1 and Windows 8, for this case, you can get the Windows verison of EaseFab Video Converter Ultimate, which have the same functions as the Mac program.